To get the obvious out of the way, the supplement, Kefitzah Haderech: Incunabulum of the Uncanny Gates and Portals has absolutely nothing to do with the ‘Kwisatz Haderach’, the Bene Gesserit programme in the Dune series of novels by Frank Herbert to create a male capable of bridging time and space that would inadvertently culminate in the form of Paul Atreides. 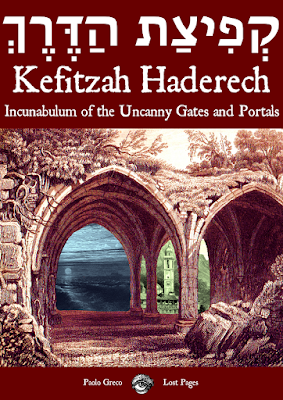 Although both ‘Kefitzah Hadereach’ and ‘Kwisatz Haderach’ both derive from the same Hebrew phrase, ‘Shortening of the Way’, Kefitzah Haderech: Incunabulum of the Uncanny Gates and Portals is actually a supplement for the Old School Renaissance which explores and presents ideas on how to use portals to other places in your Dungeons & Dragons-style game. Published by Lost Pages, responsible for the excellent Burgs & Bailiffs fanzine, it is a systems neutral supplement, which means that its contents can be used with most fantasy roleplaying games, although that fantasy is essentially the high fantasy of Dungeons & Dragons. Rounding out Kefitzah Haderech: Incunabulum of the Uncanny Gates and Portals is an equivalent of ‘Appendix N’, the section at the rear of the Dungeon Master’s Guide for Advanced Dungeons & Dragons devoted to its literary inspirations. In this supplement, ‘Appendix N’ is devoted to inspirations for portal use drawn from computer games, roleplaying games, and other media. It is engaging read to round off the supplement and just like the contents of ‘Appendices N’ contains further entertainment and inspiration for the Referee. Doubtless there are other sources not listed here, but it is a decent start. Physically, Kefitzah Haderech is a slim, digest-sized paperback. It is very lightly illustrated and although it needs an edit here or there, is decently written. 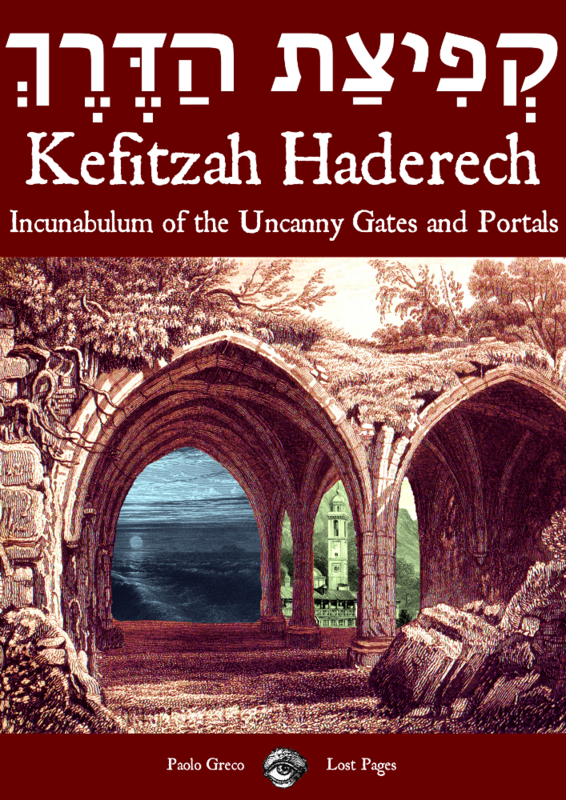 Unfortunately, Kefitzah Haderech: Incunabulum of the Uncanny Gates and Portals feels a little too light. It does not go into as much depth about its subject as said subject deserves, a mere four pages or so before the Referee is expected to get the dice out and start rolling on tables. It feels as if a small article for a magazine has been abutted to the reason for Kefitzah Haderech—the ‘PORTATRON: Holistic Portal Opening Generator’. This sounds like Kefitzah Haderech is a bad supplement, but it is not, it is just that it is a light treatment of it portals and portal travel and it may not have the detail that some Referees might be looking for. Kefitzah Haderech: Incunabulum of the Uncanny Gates and Portals is a good introduction to the use of portals in fantasy gaming and the ‘PORTATRON: Holistic Portal Opening Generator’ is useful as an adventure generator too.